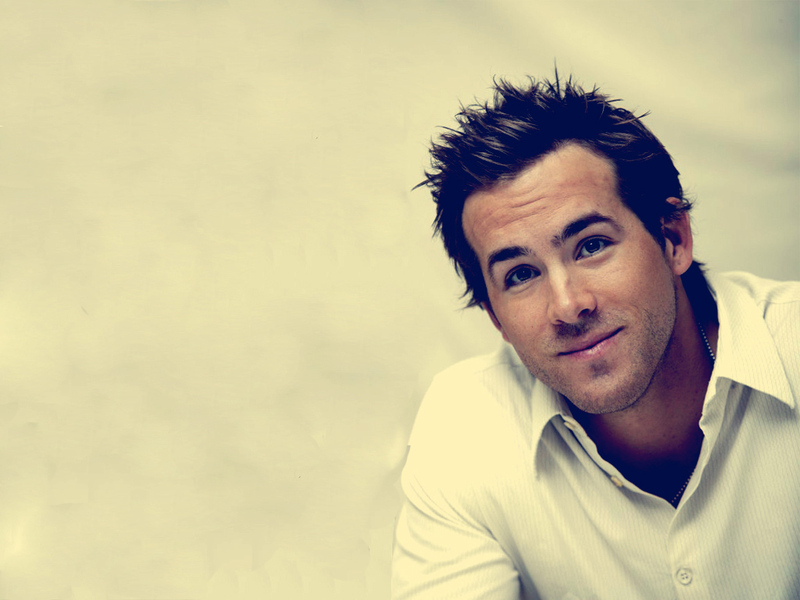 Best known for his casting role in The Green Lantern, Ryan Reynolds has entertained millions of viewers all over the world with his great acting…but now, now its time for the Ladies and we hope that these select few pics will keep you all entertained for a little while. Enjoy. Ryan is the youngest of four children. His father, Jim, was a Vancouver food wholesaler. His mother, Tammy, was a retail-store saleswoman. 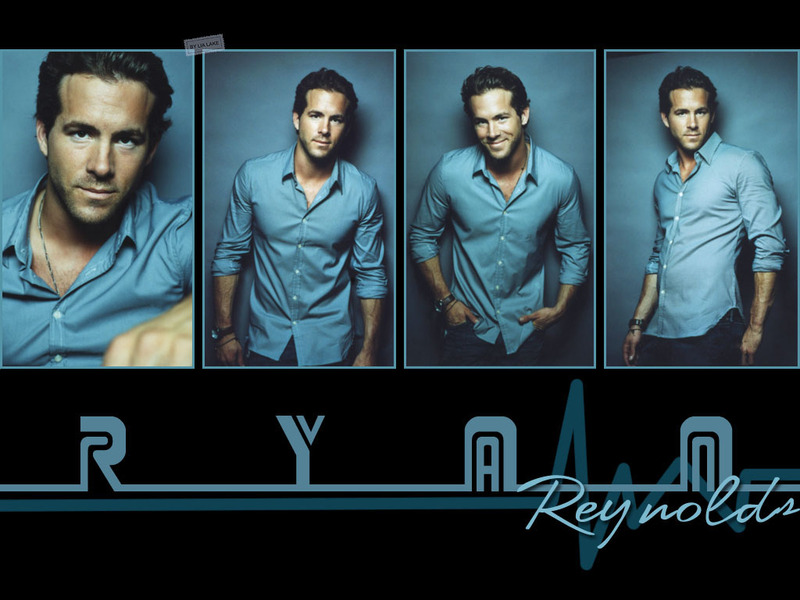 Between 1991-93, Ryan appeared in “Hillside” (1990) (aka “Fifteen”), a Nickleodeon series taped in Florida with many other Canadian actors. After the series ended, he returned to Vancouver where he played in a series of forgettable TV movies. He did small roles in Glenn Close’s Serving in Silence: The Margarethe Cammermeyer Story (1995) (TV) and CBS’s update of “In Cold Blood” (1996). However, his run of luck had led him to decide to quit acting. One night, he ran into fellow Vancouver actor and native Chris William Martin. Martin found Ryan rather despondent and told him to pack everything: they were going to head to Los Angeles, California. The two stayed in a cheap LA motel. On the first night of their stay, Reynold’s jeep was rolled downhill and stripped. For the next four months, Ryan drove it without doors. In 1997, he landed the role of Berg in “Two Guys, a Girl and a Pizza Place” (1998). Initially, the show was reviled by critics and seemed desperate for any type of ratings success. However, it was renewed for a second season but with a provision for a makeover by former “Roseanne” (1988) writer Kevin Abbott. 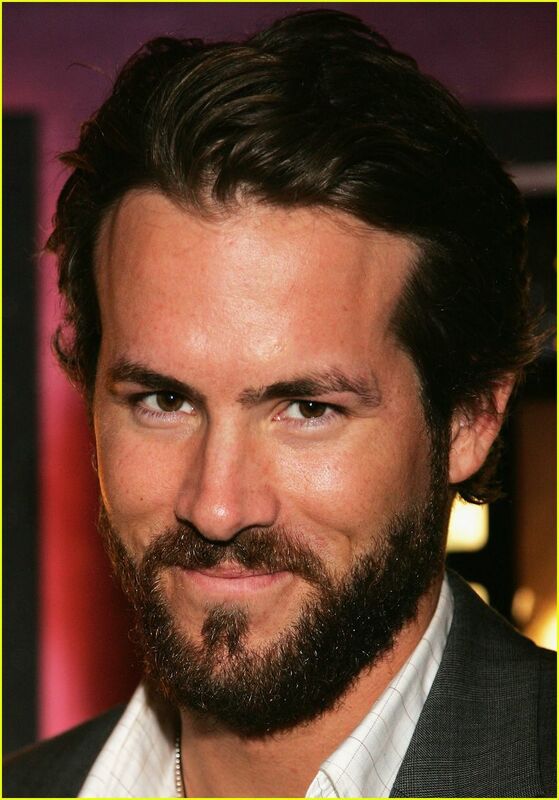 The show became a minor success and has led to additional film roles for Ryan, most notably in the last-ever MGM film, a remake of The Amityville Horror (2005). Ryan was engaged to Canadian singer-songwriter Alanis Morissette, another Nickelodeon veteran, between 2004-2006. Has a fear of flying since he once went skydiving and parachute failed to open at the first attempt. Is the youngest of four brothers. Two of his three elder brothers are policemen. Received a Youth in Film Award nomination for best actor for his work on Nickelodeon’s “Hillside” (1990) (aka “Fifteen”). Accompanied musician Alanis Morissette to the 2003 Canadian Juno Music Awards. In early 2001, he met actress Rachael Leigh Cook and the two immediately hit it off. However, Rachael had to fly to Britain shortly after to film Blow Dry (2001). Ryan ended up surprising her, pulling out of his filming schedule, and following her all the way to London. It was a success and they ended up dating for a year. Became engaged to his girlfriend of two years, Canadian singer Alanis Morissette in June 2004. They announced the engagement was off in June of 2006. Has expressed great interest in portraying the DC Comics character the Flash, should Warner Bros. ever decide to do a film adaptation of the comic book. On an episode of “The Outer Limits” (1995), he played a ghost trapped in a haunted house. Ironically, in The Amityville Horror (2005), he plays a living man trapped in a haunted house. Was offered the role of “Xander” in “Buffy the Vampire Slayer” (1997). He was traveling in Indonesia with his former fiancée, Alanis Morissette, when the tsunami struck. They were uninjured since they were staying on the opposite end of the island from where the tsunami hit. Ryan alleges he is friends with Paul Anka and meets with him once in a while. Engaged to Scarlett Johansson [May 5, 2008]. In 2002, he badly injured his back jumping from a bridge in Zurich, Switzerland. Is a big fan of the Green Bay Packers. Married fiancée Scarlett Johansson in a private Canadian ceremony on September 27, 2008. In November 2008, he ran in the New York City Marathon on behalf of the Michael J. Fox Foundation. His father was diagnosed with Parkinson’s disease in 1995. Was named the “Sexiest Man Alive” by ‘People’ Magazine in 2010. This was during the same time that his wife, Scarlett Johansson was named as “Babe of the Year” by ‘GQ’ Magazine. Former brother-in-law of Vanessa Johansson, Hunter Johansson, Adrian Johansson and Christian Johansson. Former son-in-law of Karsten Johansson and Melanie Sloan. Gained 25 pounds of muscle for his role as “Hannibal King” in Blade: Trinity (2004). Acting has given me a way to channel my angst. I feel like an overweight, pimply faced kid a lot of the time – and finding a way to access that insecurity, and put it toward something creative is incredibly rewarding. I feel very lucky. On his relationship with Alanis Morissette: “Our relationship couldn’t be better. There’s no truth to the rumours we’d temporarily broken up”. I’m not a hockey fan, which is probably why I had to leave Canada in the first place. (On getting into acting) I started when I was 13 years old. I did a really horrible soap opera called Fifteen for Nickelodeon that stoned college kids kept on the air for three years. And then the first movie I did was in Sri Lanka when I was 14. I spent three months there. I was there without my parents working on a movie in a country that was in the midst of a civil war. It was pretty wild. I did two trips in 2006. I did one through New Zealand on a motorcycle, and I tried to cross Australia on a motorcycle from one end of the continent to the other. My friend and I did not make it, unfortunately – he crashed, and we had to find a hospital. (2007) I used to backpack when I was younger. I think I can actually say that I can’t do the hostel thing anymore – I’m a little too spoiled. I have a discipline that has served me very well in my career and in my personal life… and that’s gotten stronger as I’ve gotten older. I’ve always felt if I don’t just have a natural knack for it, I will just out-discipline the competition if I have to — work harder than anybody else. (2010, on Van Wilder: Party Liaison (2002)) It made me the party guy. I would walk into a bar and people would start lining up the shots. You could sum up my career at that point as a free shot at a bar. I know it affected me more than I’m revealing, because I know that I went years without even saying the words “Van Wilder”. Even now, when I say it, it’s a bit of a big moment for me. (On filming Buried (2010)) I’ll never, ever in my life complain on a set again after being on that set. Sixteen, seventeen days of doing that… It was such a state of emotional distress. [on The Nines (2007)] That was such a wake-up call for me. The movie was made on less than a million dollars. I loved the process. I loved the character I was given to play. I learned a lot about filmmaking from John August, who was directing. That was the birth of my own ambition. There were particular films after that that I went after. I had a new view. [on Buried (2010)] It’s one of those rare movies that you experience more than you watch it. The selling point to me was that script had both a narrative challenge and a technical challenge. It’s rare to find a script that has both. People like Hitchcock, that’s all he looked for. Films like Rope (1948) and Lifeboat (1944) and Rear Window (1954), that was what they were all about. I had a lot of confidence in Rodrigo, though. He sent me a comprehensive, 15-page treatise on why he wanted to make the film. That hooked me. It’s not the most glamorous role. You get in the box and as an actor you have to do these things that are embarrassing, frightening and raw. It was an adventure. [on the effect the title of “Sexiest Man Alive” would have on his wife, Scarlett Johansson] Now it’s going to be, ‘Sexiest man, take out the garbage’. That does sound better. I’m always terrified at the beginning. Then I start working and get past my fear, which is the real win for me. Just like Hal [Jordan in Green Lantern (2011)] I’m used to stepping forward in the face of whatever fears I’ve created for myself. The stunts on the ground I can do, but I’ve never been good with heights.